Lifting heavy equipment comes with its dangers, and weightlifting is no exception. Common injuries include muscle strains and bone fractures. According to "The New York Times," several injuries occur from people dropping weights on themselves. For the most part, weightlifting-related injuries are preventable and weightlifting can be healthy addition to your physical activities. 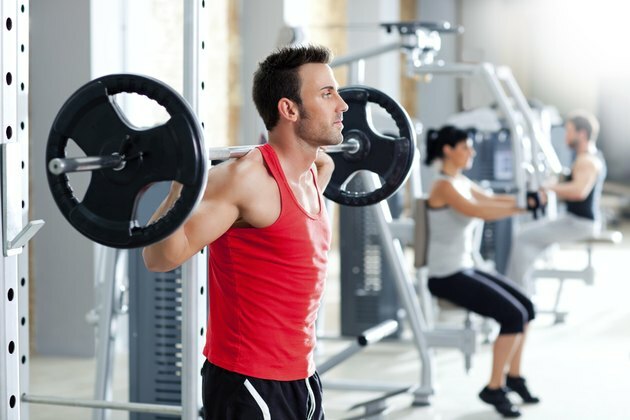 Effective weight management, muscular strength, are among the many benefits of lifting weights. Becoming aware of the dangers of lifting weights is the first step in avoiding them. Excessively overloading your muscles during a workout session can lead to muscle soreness. This is common in beginners and those increasing the amount to lift due to small tears in the muscle. However, if you overload your muscles, the muscle soreness may come from a more serious injury such as a muscle strain, according to Columbia Health. Common causes for muscle overload are unknowingly working the same muscle group with one or more exercises or attempting to lift weight that are too heavy. 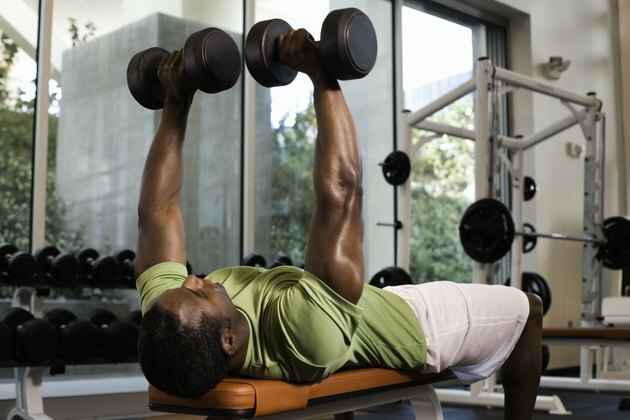 Avoid muscle overload by resting between sets for 60 to 90 seconds and gradually increasing the weight you lift. A warm up for five minutes helps improve your muscle flexibility, which helps prevent overstretching your muscles. Performing exercise with an improper form can lead to short term back pain and long term nerve damage. Undeveloped abdominal muscle makes your spine more venerable when lifting heavy weights which can lead to lumbar sprains. For instance poor posture when attempting deadlifts or squats can result in back pain, according to Spine Health. Also, rocking your body back and forth while performing standing bicep curls can lead to lower back pain. Using free weights requires more movements than weight machines, which increases the likelihood of developing back strain. Therefore, start exercising with a training machine until you are ready for free weights and lift lighter weight for longer, rather than heavy weights. Overtraining can cause both physical and mental health symptoms. According to the American Council on Exercise, overtraining can cause moodiness, sleeplessness, fatigue and chronic muscle pain. It also increases your likelihood of contracting infections as overtraining effects your immune systems performance. You may also find that weights you could normally lift with ease become a challenge. To avoid overtraining, you should rest for at least three days between exercise sessions. Consume a balanced diet rich in protein to help your muscles repair and grow while you rest. Consult your doctor before starting an exercise program, if you are on any medication that can affect your performance. Weight training accessories such as exercise gloves can improve your grip and reduce the risk of dropping weights on your feet. Ensure you choose gloves with non-slip leather fabric. Always consult an experienced weightlifter or personal trainer when attempting a new exercise and stop exercising when you feel pain. As a rule, maintain an upright posture when lifting weight – whether you are sitting or standing.